Flower gardens filled with a wide range of perennial flowers for every season create a space to enjoy year-round. With a variety of shapes, sizes and blooms, an all-season garden also creates a space that is ever-changing, where you can walk through the flower garden and appreciate what is in bloom and look forward to what is to follow. To ensure you have a successful garden, choose those plants that thrive within your U.S. Department of Agriculture hardiness zone. Pick flowers that thrive in the garden based on your climate and the amount of sunlight the landscape receives. Choose low-maintenance flowers that are tolerant of heat and drought to help create a successful establishment. Sketch out a blueprint of the design to refer to as you work your way through the garden and to allow you to make last-minute changes during the planting process. Grow flowers for every season to ensure the garden is in constant bloom. Start by planting perennial flowers, a type of plant that grows back each year. Plant at the back of the flower garden using the tallest and fullest perennials, working your way forward to create a balanced, layered design. 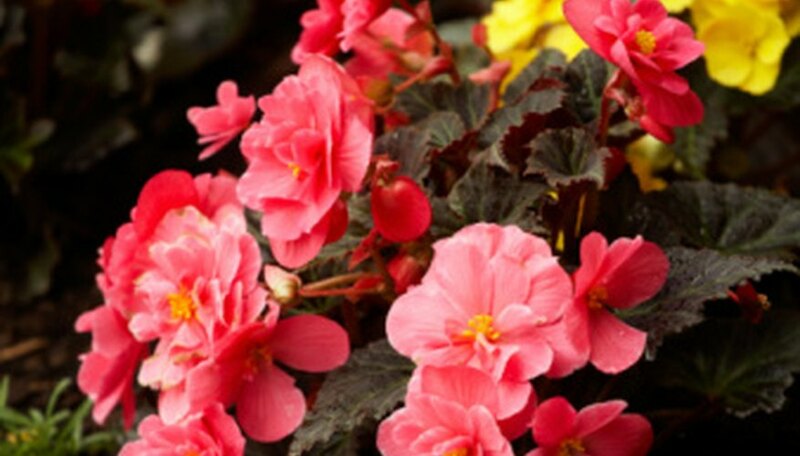 Grow winter-blooming flowers that emerge in winter to early spring to ensure color in the flower garden. Choose flowers like snowdrops to provide color during the often colorless late winter and early spring months. Plant evergreen flowers inside the garden to defy winter’s barren landscape. Choose blooming evergreens like hellebore to provide color with their flowers and foliage. Use spring-blooming flower bulbs like crocus and daffodils in the flower garden to supply vibrancy after winter’s dormant season. Space the spring bulbs around the flower garden for splashes of bold color. Incorporate annual flowers between the seasons to help fill in bare spots of the flower bed. Place annuals like pansies and zinnias in the flower garden to create a full bed. Cover the flower bed with a 3- to 4-inch layer of mulch to help the flowers retain moisture and suppress weeds.